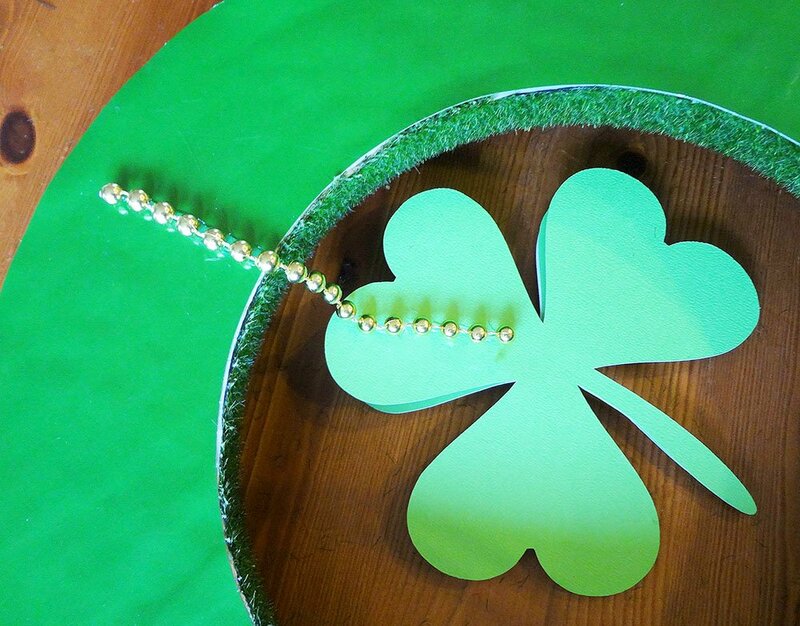 Looking for a simple way to decorate for St. Patrick’s Day? 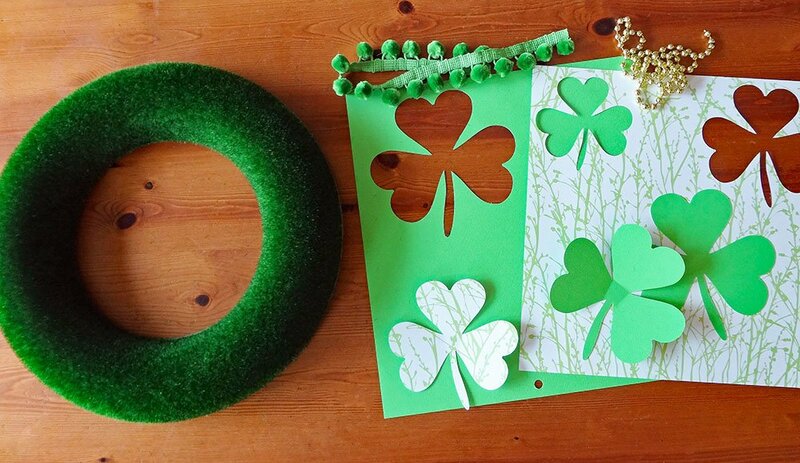 Try my simple St Patrick’s Day Shamrock Wreath! 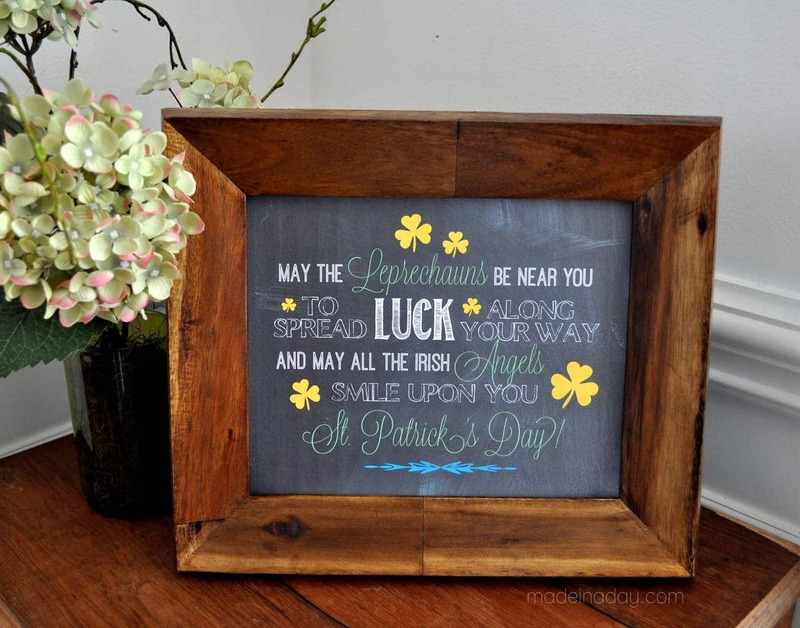 For more fun decorating ideas for St Patty’s Day See my St. Patricks’ Day page. This wreath is so simple to make. It started with a great fuzzy moss wreath. It was love at first sight when I saw this one! The possibilities for what to do with this fun wreath are enough to keep me awake at night, but for this project, I just wanted something simple and neat to decorate my home with for the upcoming St Patrick’s Day holiday. I used my Silhouette Cameo to cut out the shamrocks for the center of the wreath. 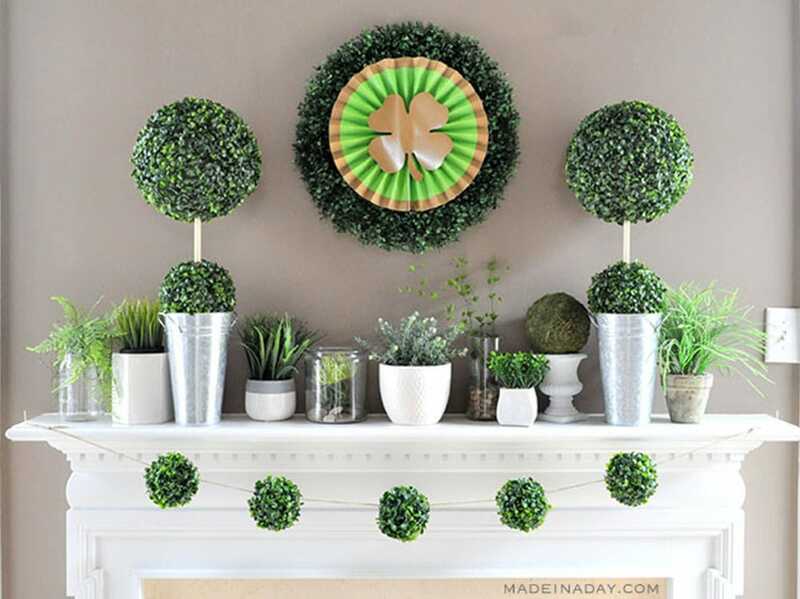 I layered the clovers and hung them from the center with fun party beads. I thought using pom pom trim for a hanger would add some fun interest too. Here’s how I made it! 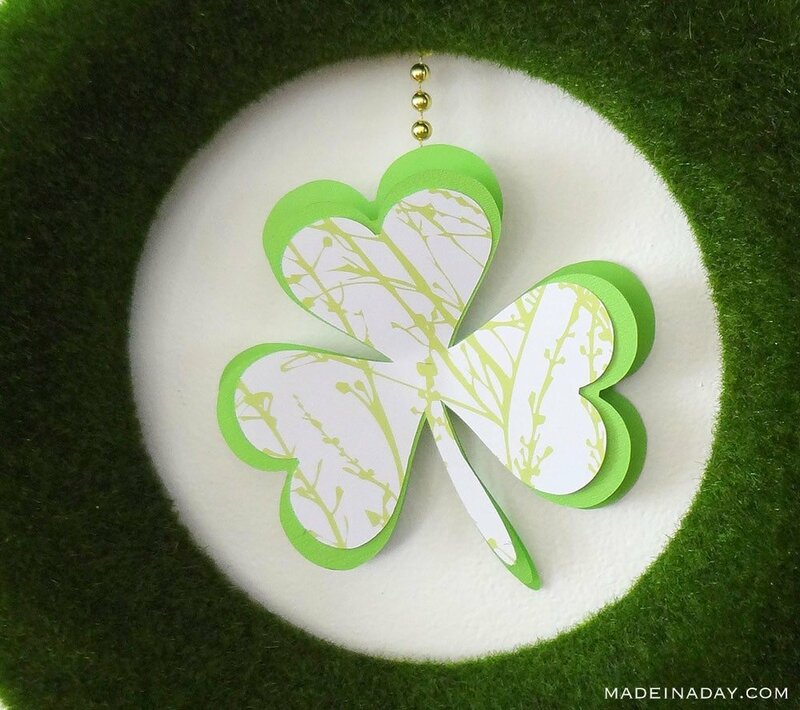 I used a Silhouette Cameo die-cut machine to cut out the shamrocks used in this wreath. 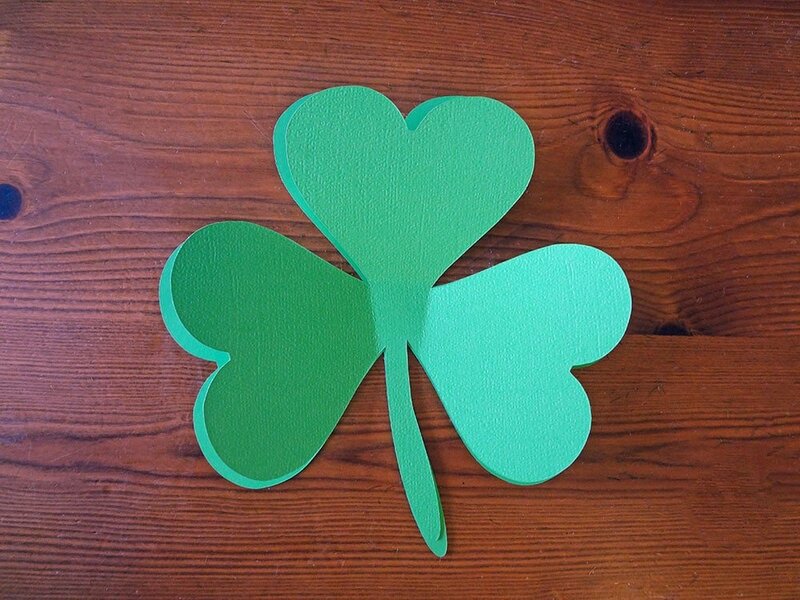 You can purchase cutout clovers and use them if you do not have a Silhouette machine to create them. Silhouette Instructions: Measure the inside of the wreath and cut out a clover to fit just inside the hole. Adjust the sizes of the clovers in half-inch graduating sizes going smaller. 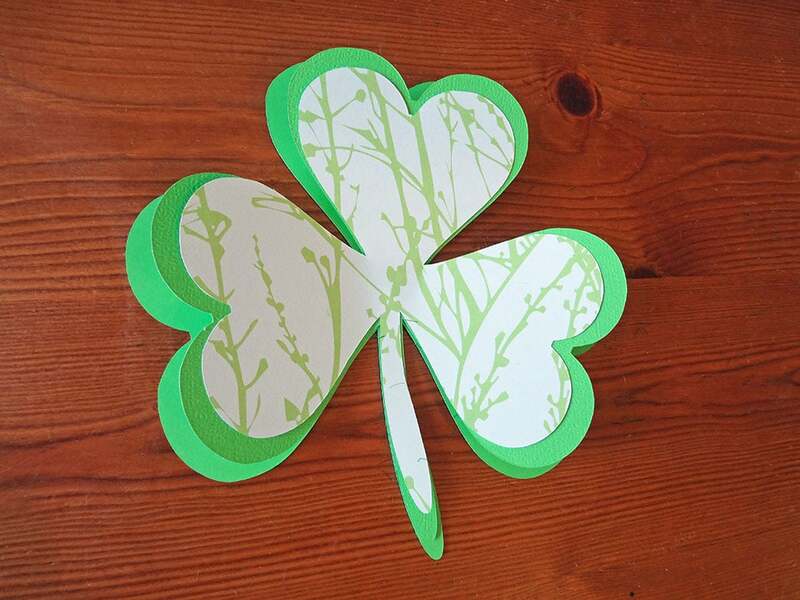 I used patterned paper for the center shamrock. The other two are textured green card stock. I used the “Clover Things” Dingbat Font instead of buying an already made shamrock SVG file from the Silhouette store. TIP: Downloading dingbats are an inexpensive way to grab shapes for Silhouette craft projects. Bend the center of the clover petals forward to make a 3-dimensional clover. Glue the three clovers together in the center. Hot glue the shamrocks to the beads. Glue the beads to the wreath. Glue the ball trim in a loop next to the beads and hang! Super cute and fast wreath to make! Thank you so much for linking your project to sweet treats & swanky stuff! Your wreath looks beautiful! SO very cute! Love seeing anything that is easy and cute! Have a great weekend! Thanks for sharing. Adorable and timely. Thanks for sharing. I was happy to feature this great project on And Sew We Craft. I’m glad I made your day! So cute yet very elegant! Thanks so much for linking on Busy Monday! Very nice! 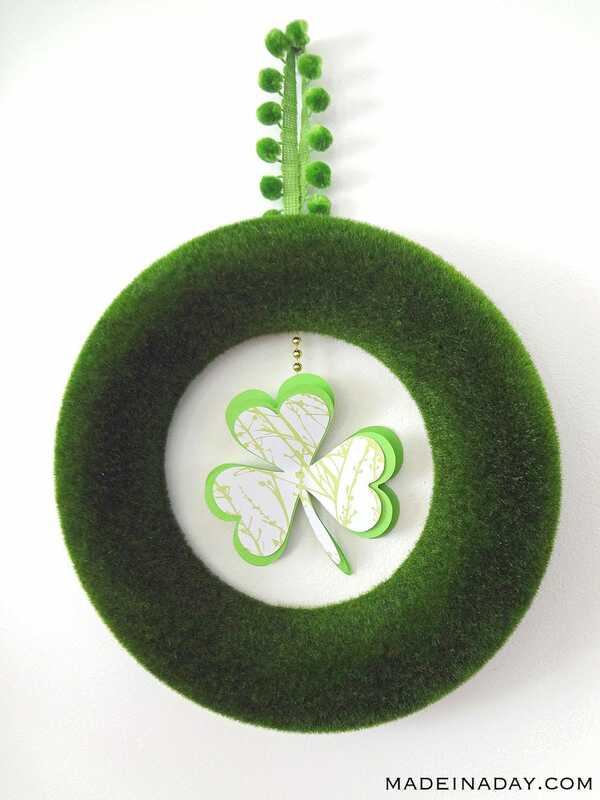 I like the simple fuzzy wreath and your shamrocks make it perfect for St. Patrick’s Day. How great that you can do a quick change and use it again for the next occasion! Thanks for sharing it at the Rock N Share! Kim this is so cute! Love the shamrock. Thanks for linking up at Transformed Tuesday. 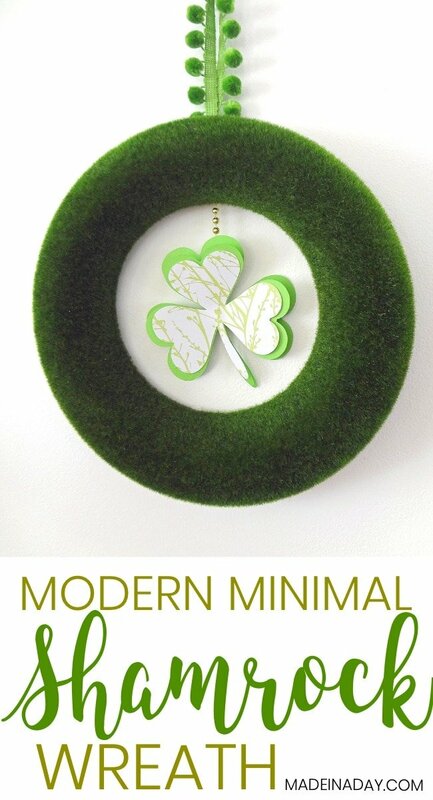 Your wreath is so cute – perfect for St. Patty’s Day! Love that is so simple and fresh looking! So cute! I love the fuzzy green wreath. I found you today thru the Linky Party at Create Craft Love where I’m #212. I hope you get a chance to stop by my blog and leave a comment, too! This is so cute! It would make me so happy to see this hanging in my house. Each week I host a link party at my site – it starts on Thursdays and goes all week. I would love it if you would be able to join and share this! Have a great day! What a simple wreath that could so easily be modified for any holiday/season! I love your wreath (I saw it at Someday Crafts). Thank you for sharing!